Dutch silver ‘Rocking Horse’ corkscrew by Hendrik Smook- Amsterdam 1761. 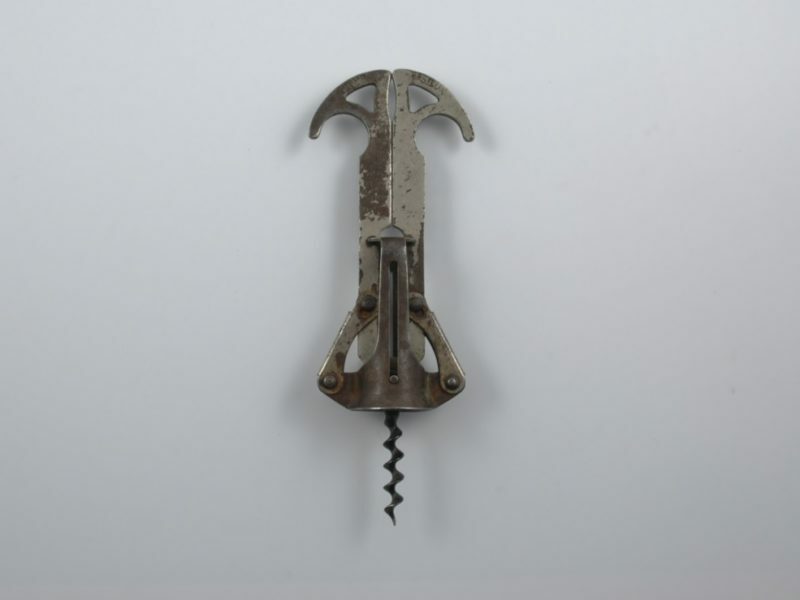 English ‘Lund’ multi-tool folding bow corkscrew- Circa 1860. 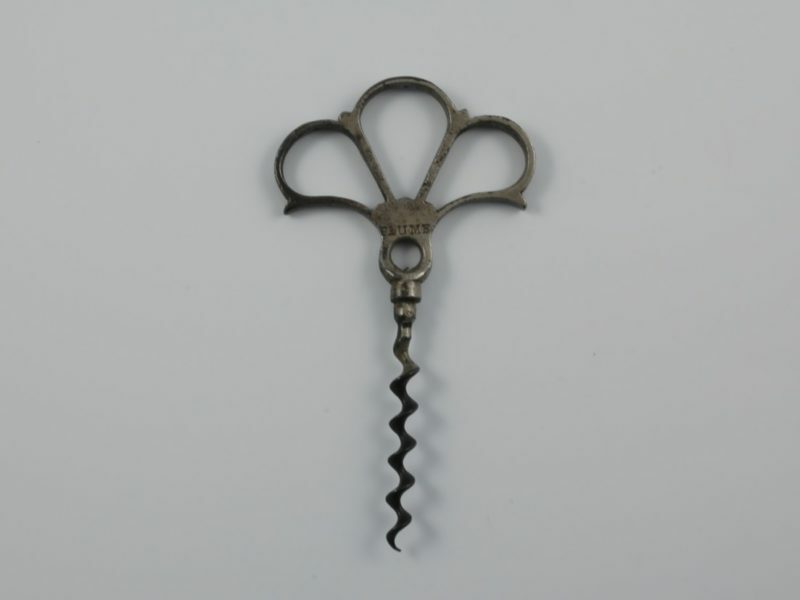 Sydney Flowers English patent corkscrew- Circa 1905. 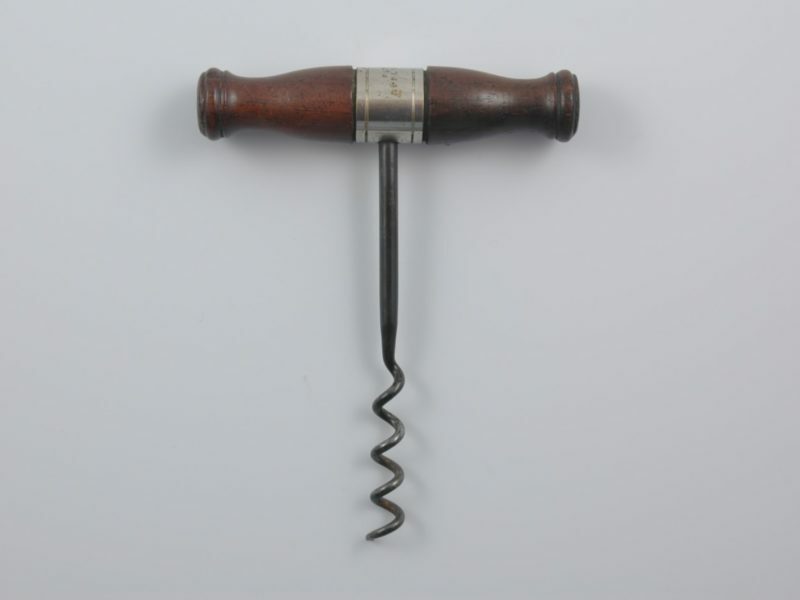 English straight pull corkscrew -McBride’s Patent- Circa 1890. 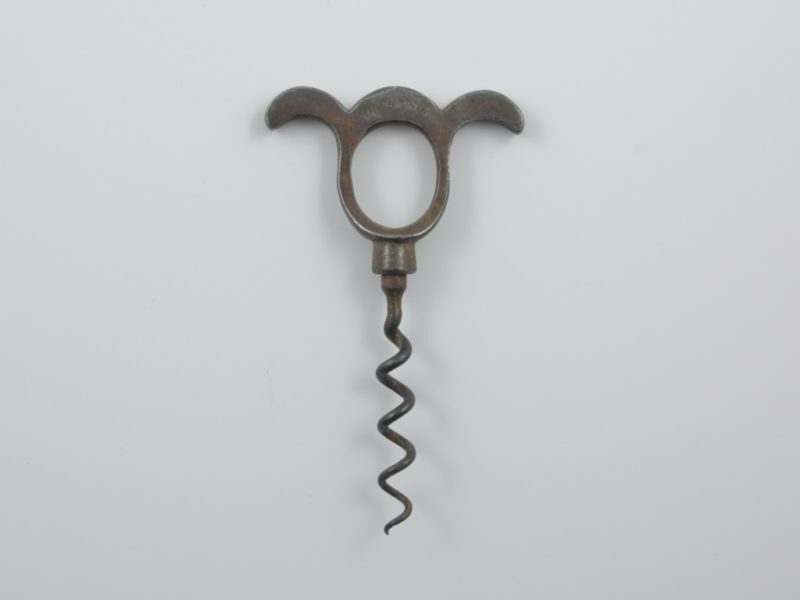 Three finger straight pull English corkscrew- Circa 1922. 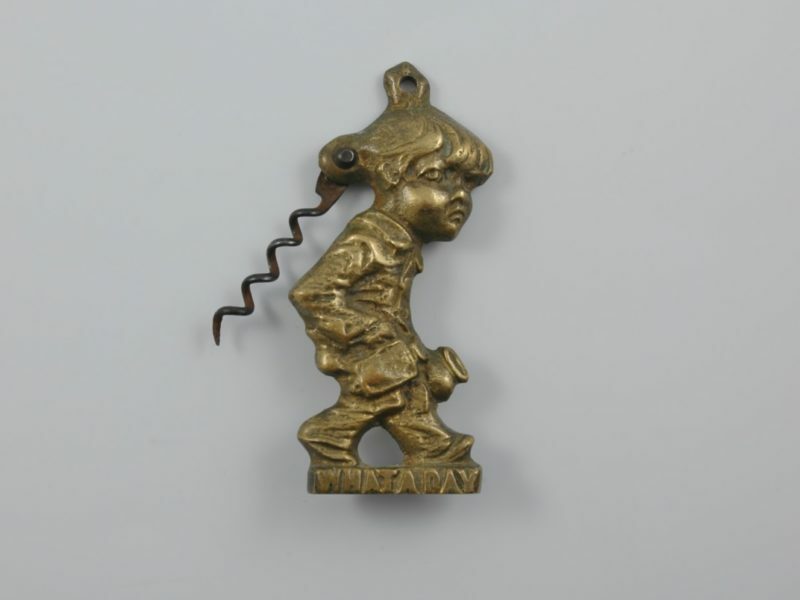 English cast brass single sided corkscrew- “WHAT A DAY”- Circa 1950. 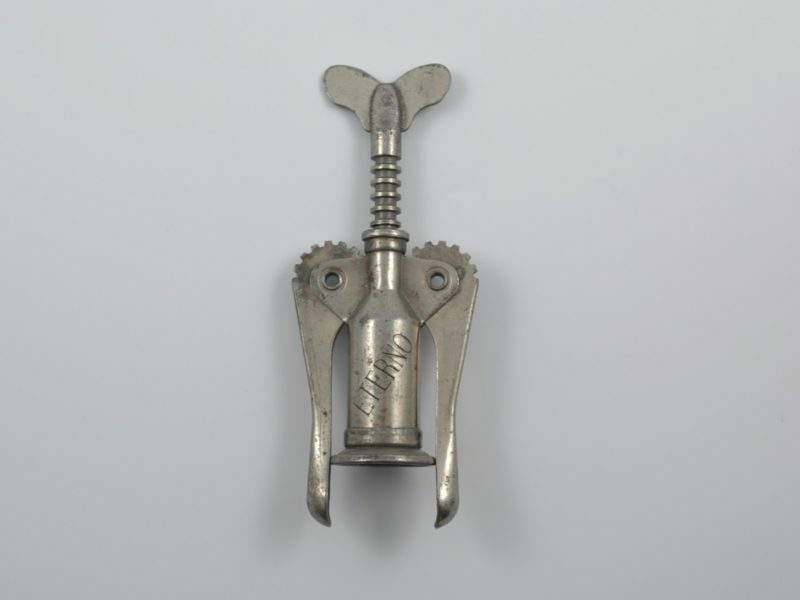 Unusual ‘Eyebrow’ two finger corkscrew and bottle cap lifter- Circa 1930. 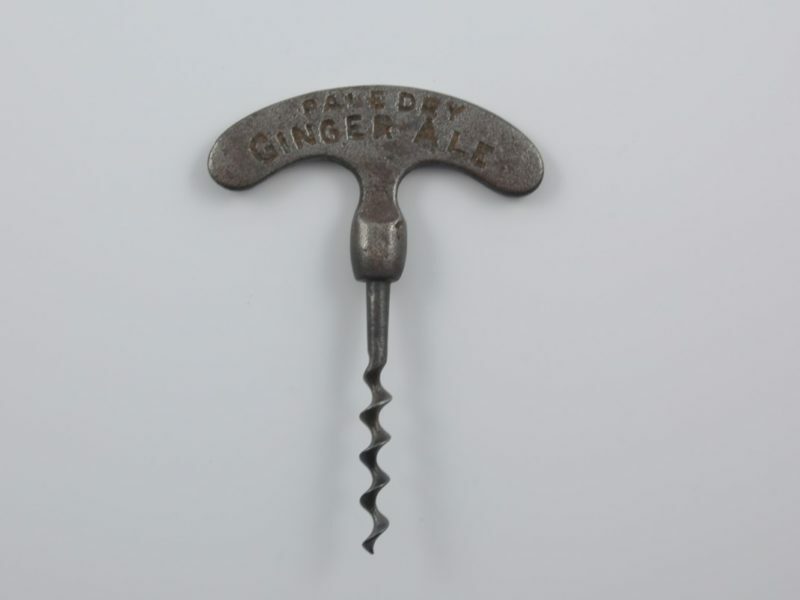 Edwin Wolverson’s sliding frame ‘Signet’ corkscrew- Circa 1877. 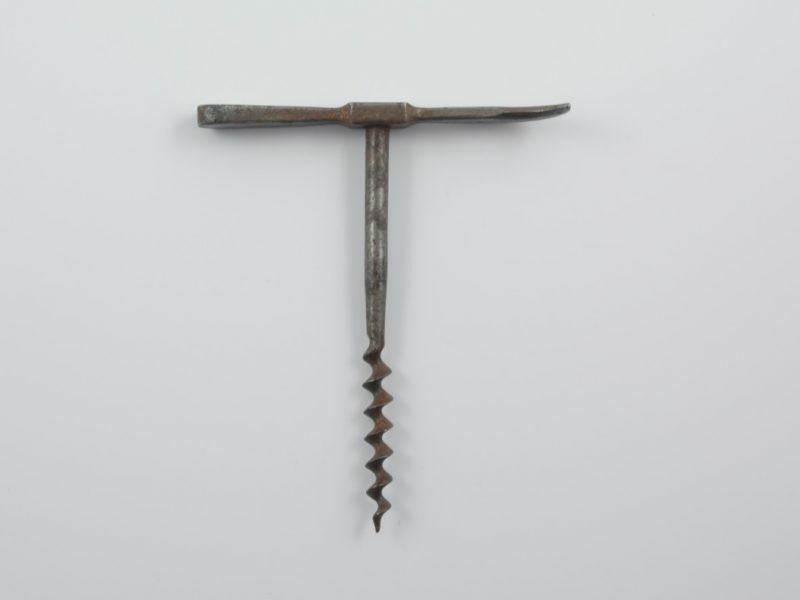 Stephen Plant’s 1884 corkscrew, ‘Wulfruna’- Circa 1890. 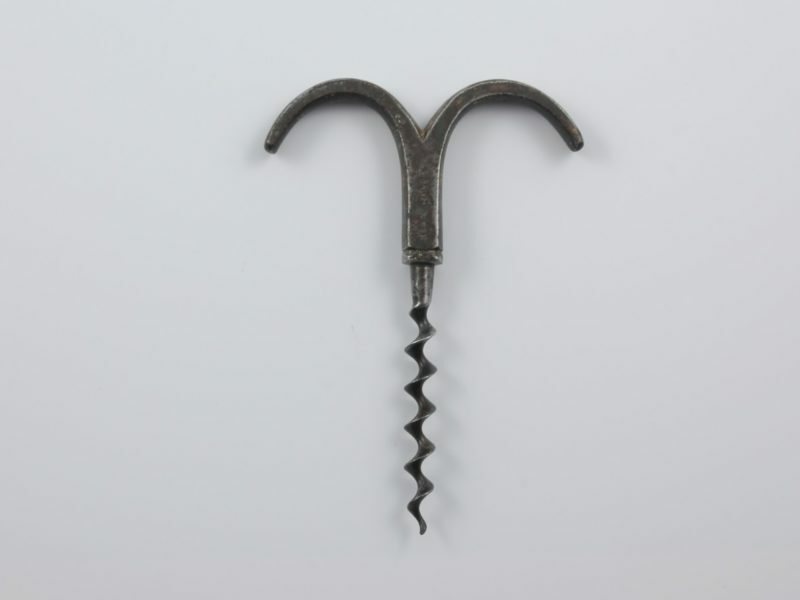 English straight pull corkscrew, the ‘Plume’- Circa 1880. 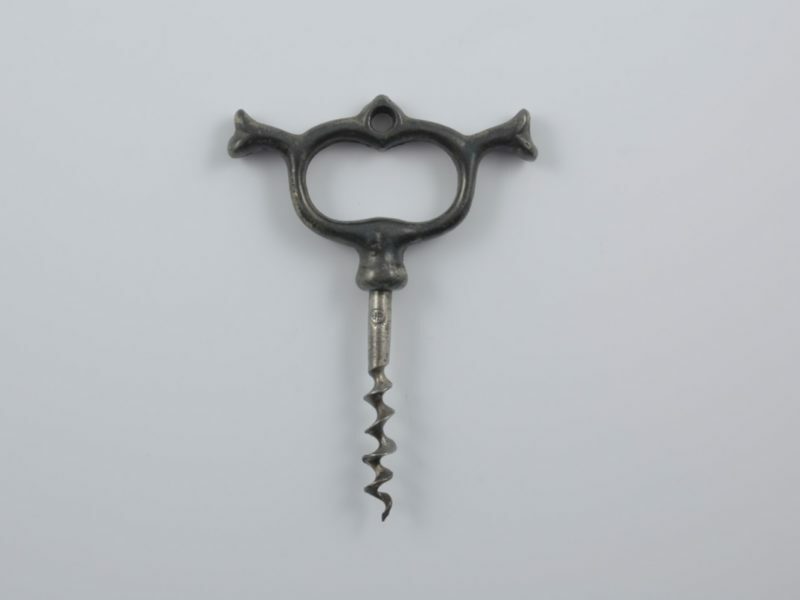 German steel open frame corkscrew, the ‘PHOENIX’ – Circa 1940. 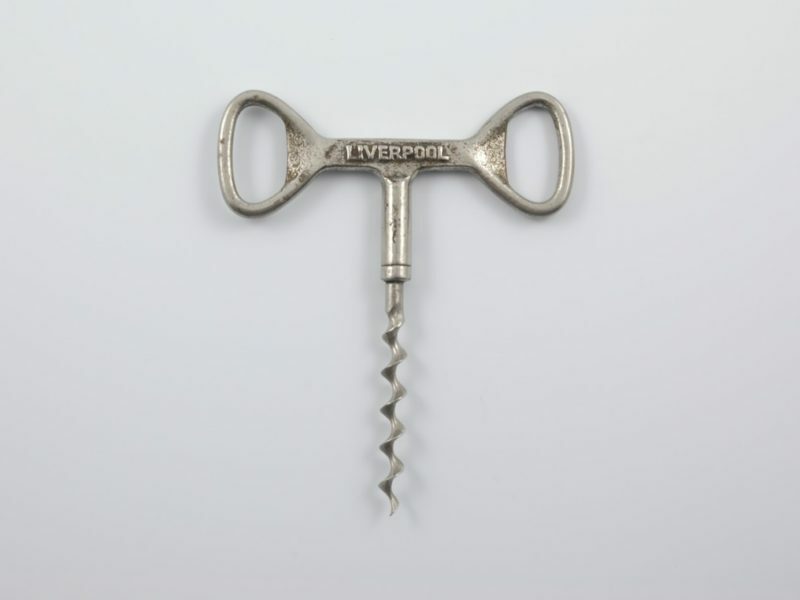 English mechanical propeller type corkscrew, ‘THE VICTOR’- Circa 1890. 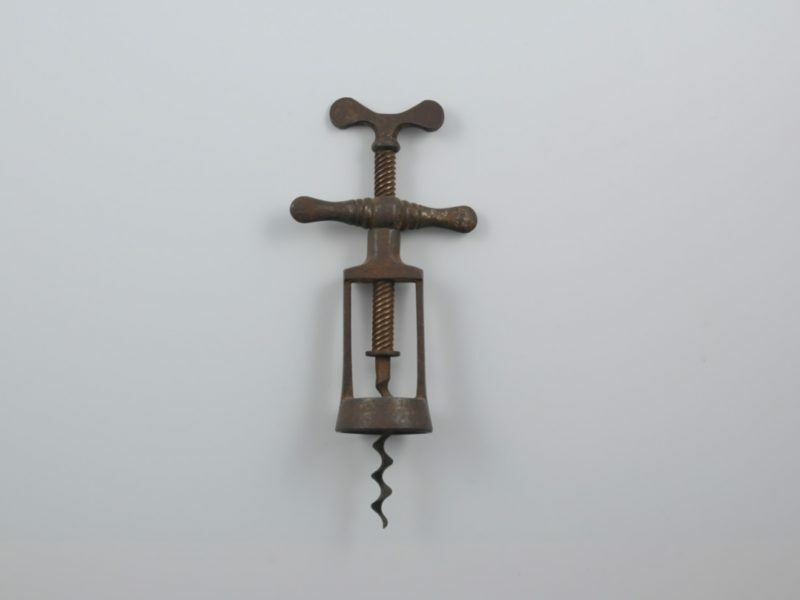 English open frame corkscrew with cork opener and wire cutter incorporated into the handle- Circa 1925. 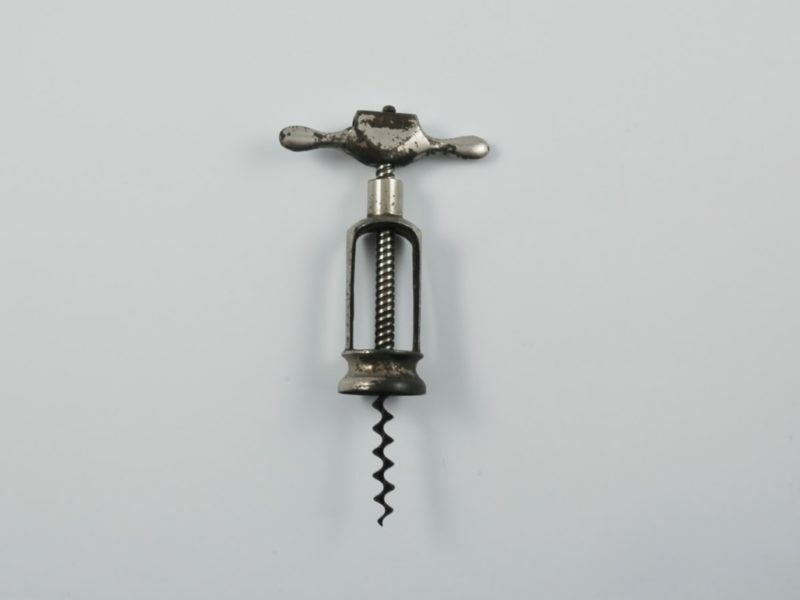 A steel sprung corkscrew with small bell- Circa 1895. 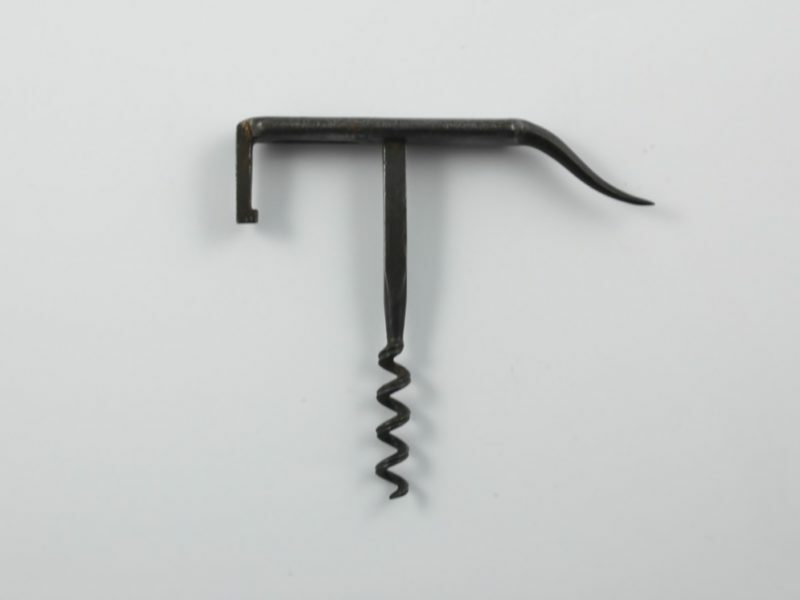 French double lever corkscrew, the “TYR” – Circa 1929. 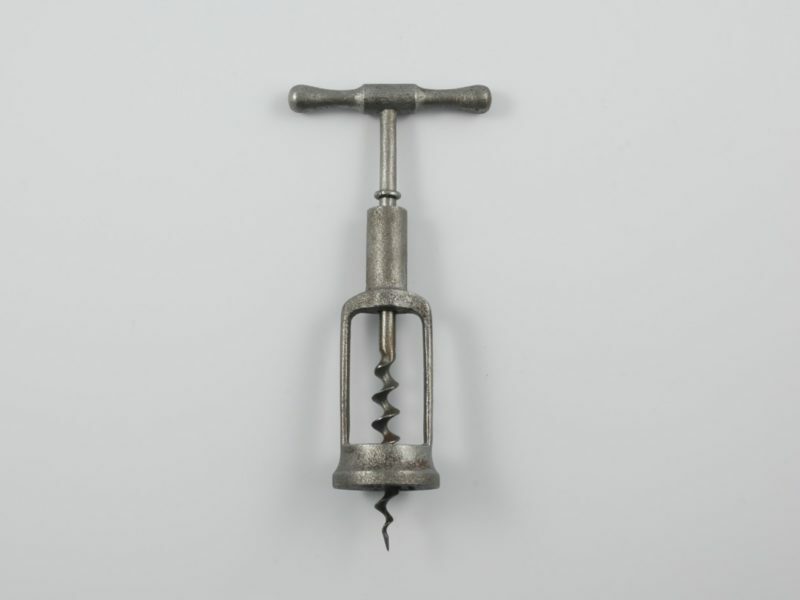 Four finger pull corkscrew with cap lifter on the handle- Circa 1900. 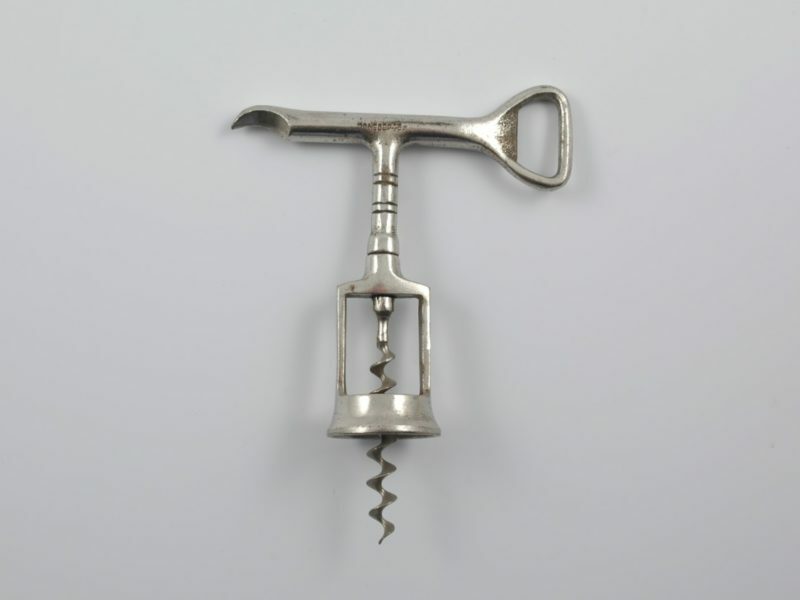 Corkscrew with a handle containing cap lifter and beer mug- Circa 1960. 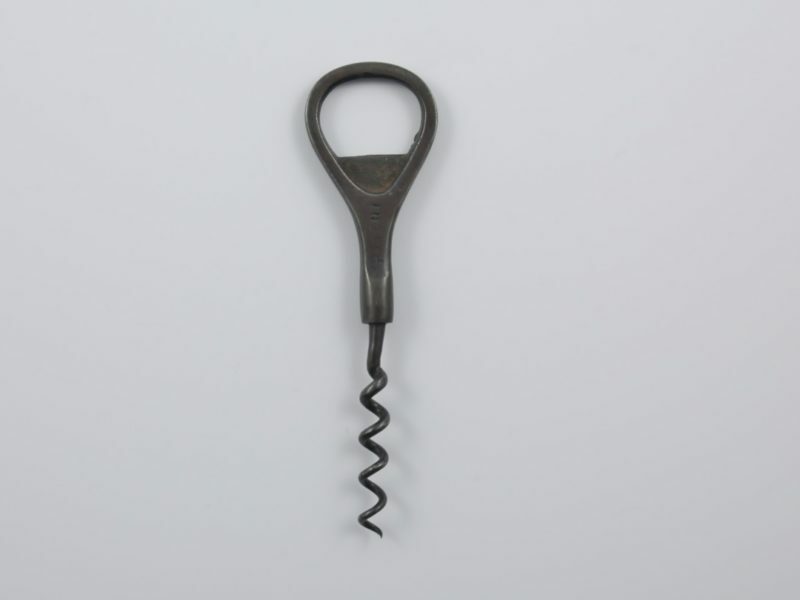 Straight pull three finger steel corkscrew with Henshall type button- Circa 1850. 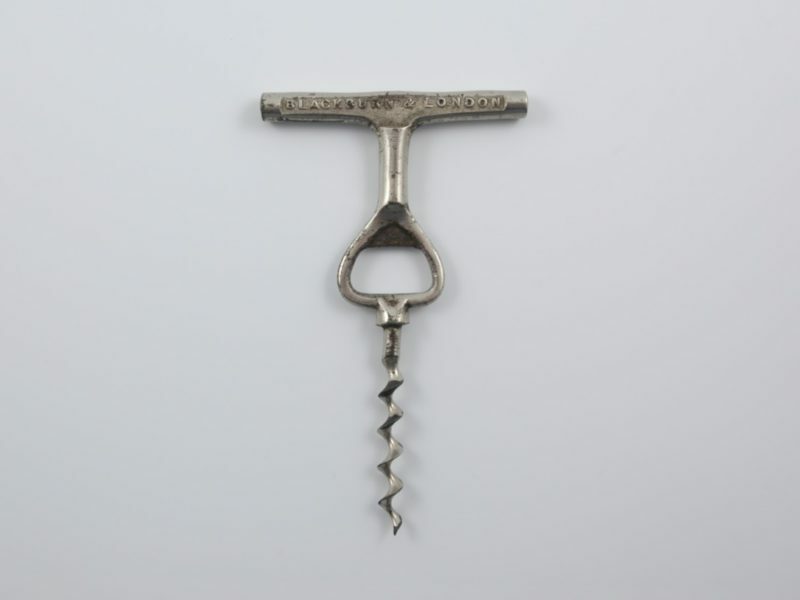 Straight pull corkscrew where the handle is a cap lifter- Circa 1898. 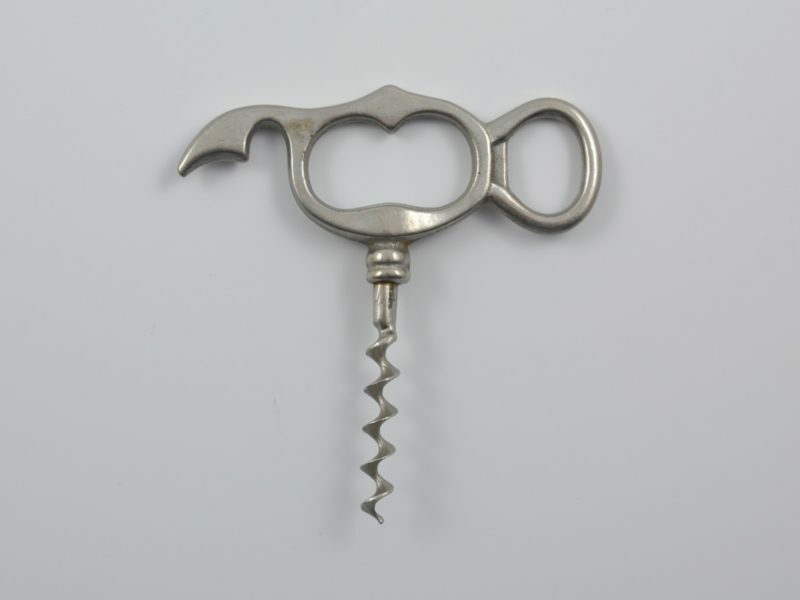 Steel straight pull corkscrew with two cap lifters incorporated into the handle- Circa 1910. 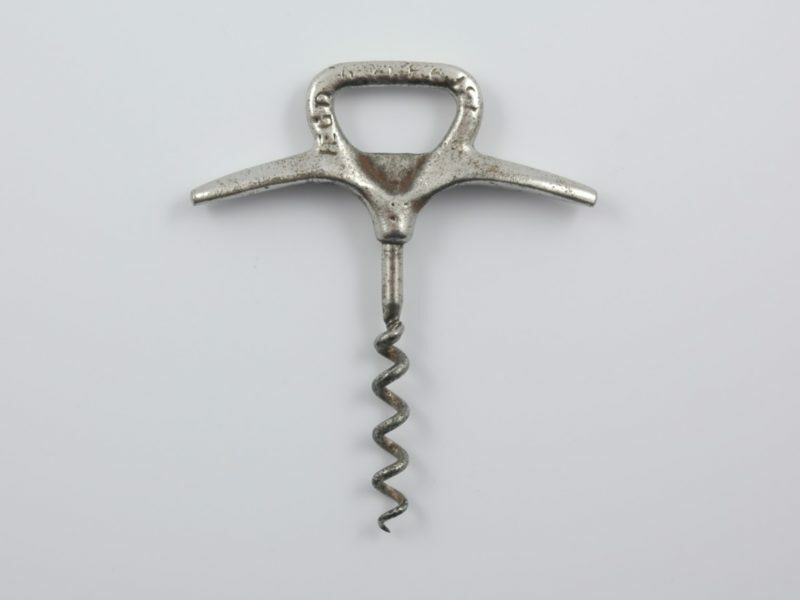 Straight pull corkscrew with cap lifter in the shank- Circa 1910. 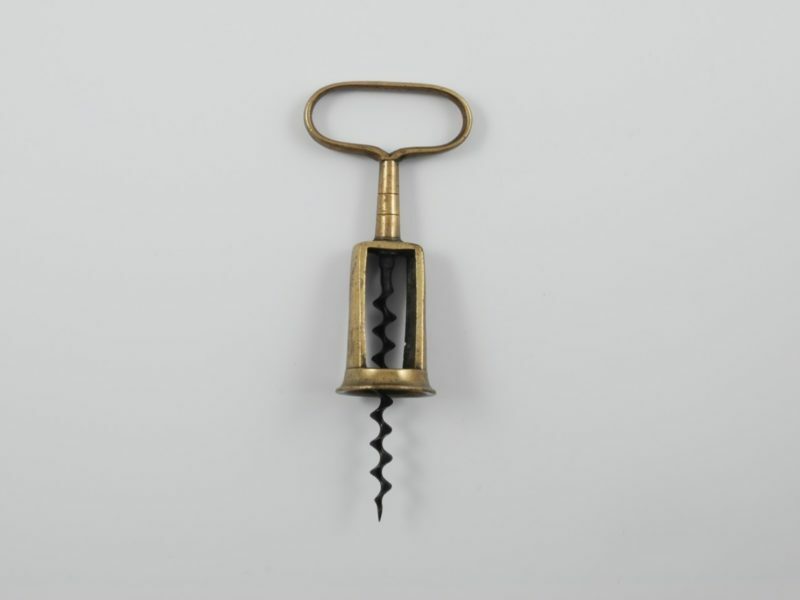 French four finger pull corkscrew by Jacques Perille- Circa 1890. 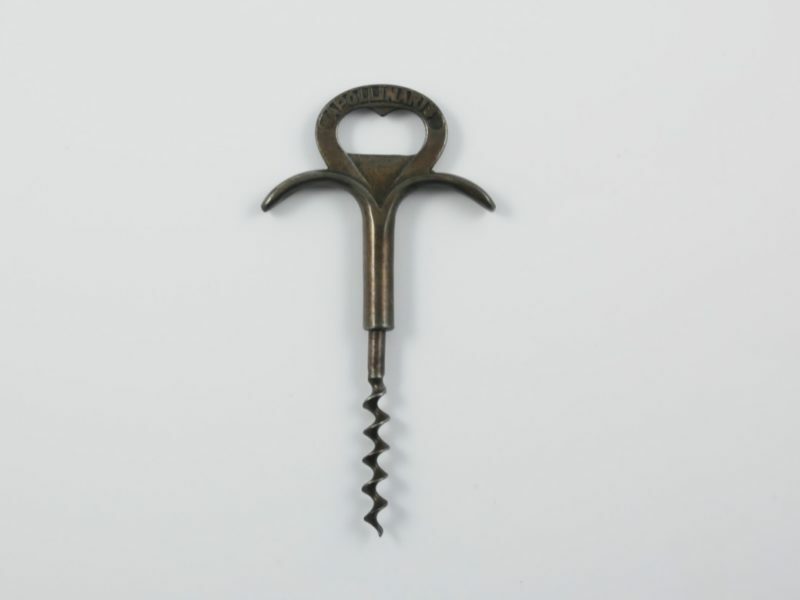 Steel four finger straight pull corkscrew- Circa 1900. 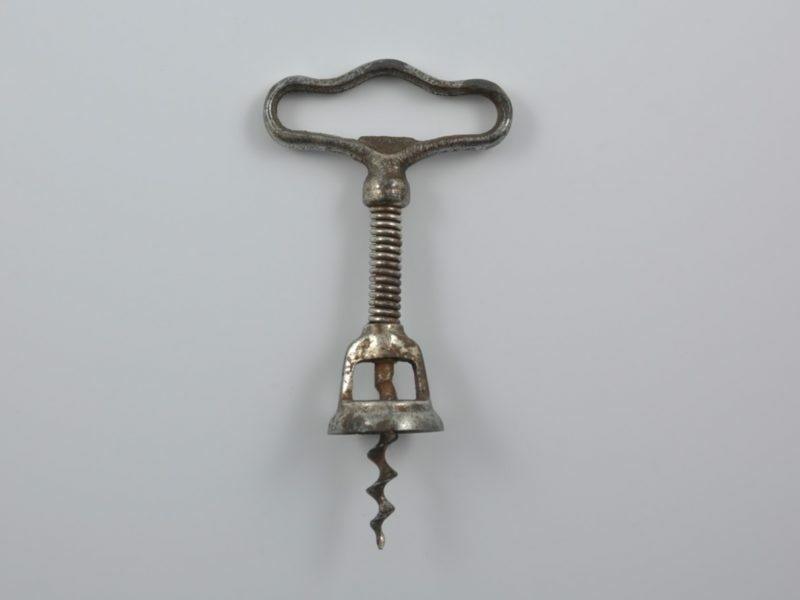 Steel two finger straight pull corkscrew- Circa 1920. 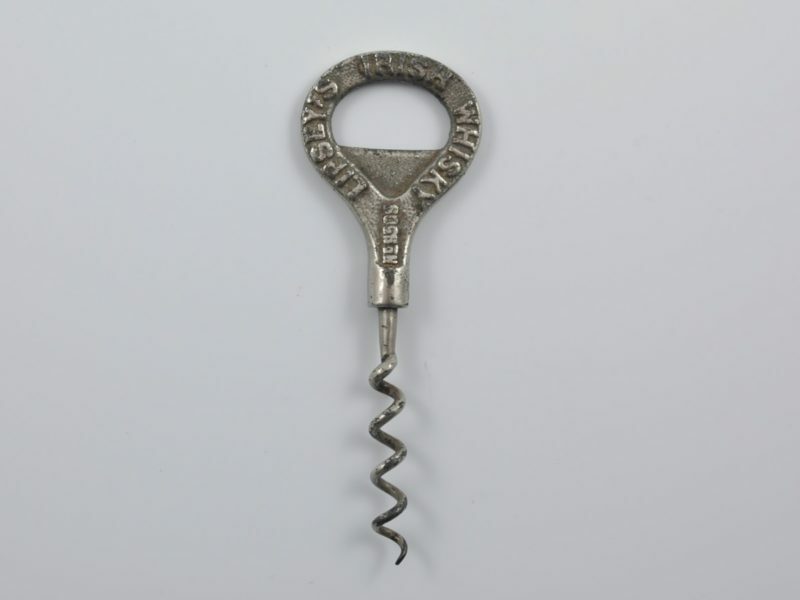 Edwin Wolverson’s ‘Signet’ corkscrew- Circa 1880. 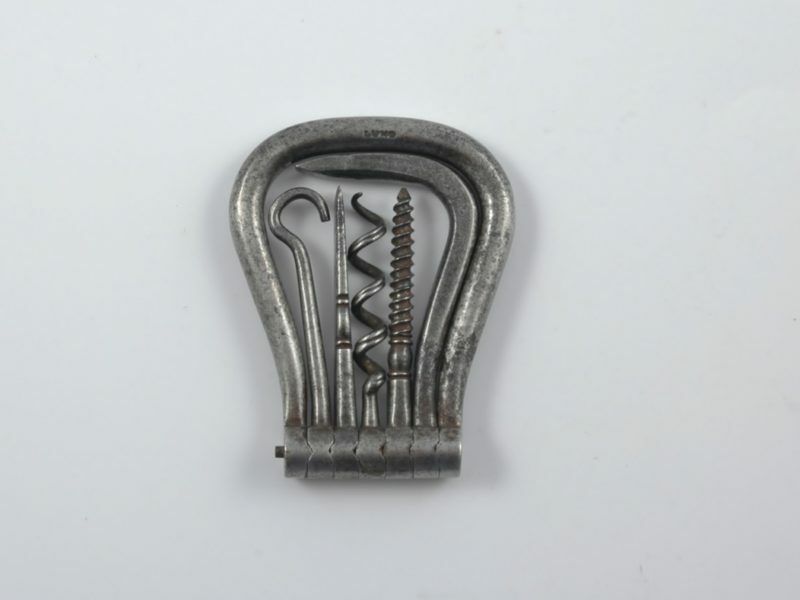 Smyth & Mackay straight pull corkscrew- Circa 1900. R Jones & Son steel ‘eyebrow’ two-finger corkscrew- Circa 1880. 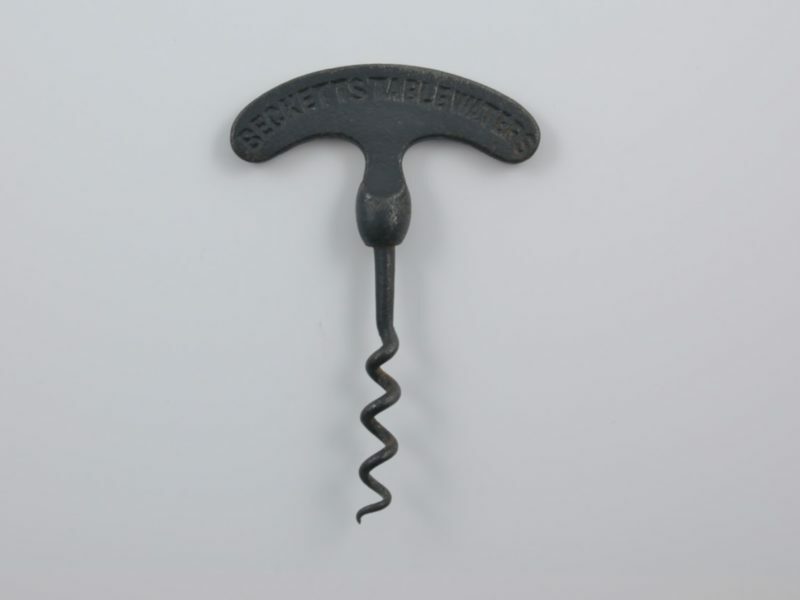 Alfred Bullows & Sons corkscrew- Circa 1922. 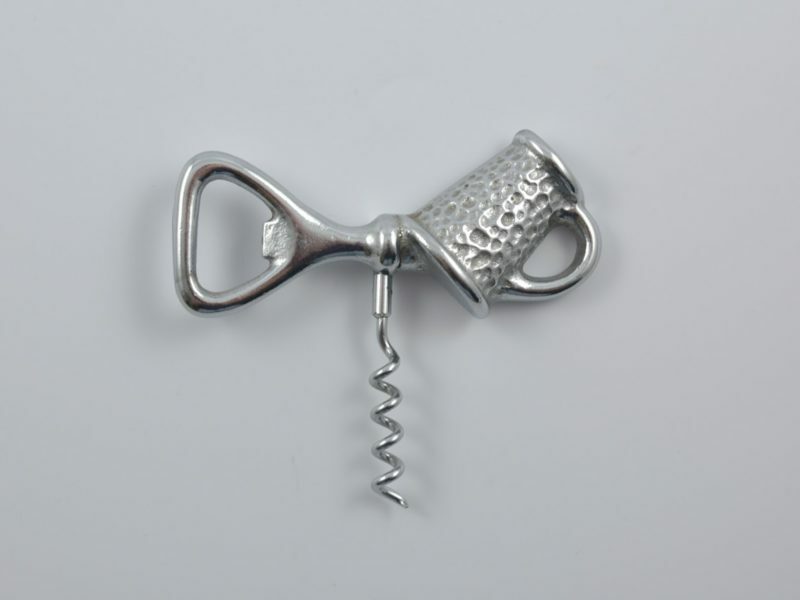 Haff straight pull corkscrew- Circa 1884.